How have we reviewed the oil diffusers? Our top pick: Urpower 2nd Generation 300 ml Aromatherapy diffuser. The best essential oil diffuser for 2019! The basics: What is an essential oil diffuser? Read this guide before buying! You only need a few drops of oil! Is there a limit to the room size? 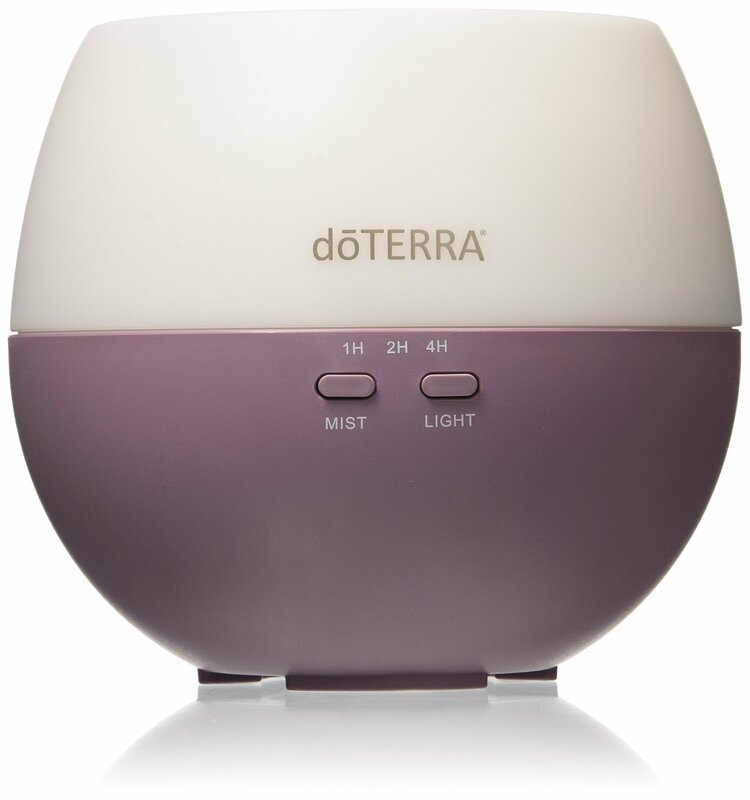 Where can I use an essential oil diffuser? Are essential oil diffusers safe for children and pets? Why is there such a spread in price? An oil diffuser can be used for aromatherapy, but it’s also a safer and re-usable scented candle. However, not all oil diffusers on the market are worth the investment. Some are priced too high for what you’re getting, while others have drawbacks such as limited capacity, poor design or just overall low quality. The effects of essential oils have been known for thousands of years, but now we see that modern science can also verify a lot of the claims, i.e. it’s known that essential oils are impacting the brain and nervous system. What is really the difference between the hundreds (or thousands?) of oil diffusers on the market today? In this article we’ll compare and see which diffuser is truly the best choice for 2019. 1 How have we reviewed the oil diffusers? 2 Our top pick: Urpower 2nd Generation 300 ml Aromatherapy diffuser. The best essential oil diffuser for 2019! 3 The basics: What is an essential oil diffuser? 4 Read this guide before buying! 4.5 Which one should I choose? 6 You only need a few drops of oil! 10.1 Is there a limit to the room size? 10.2 Where can I use an essential oil diffuser? 10.3 Are essential oil diffusers safe for children and pets? 10.4 Why is there such a spread in price? 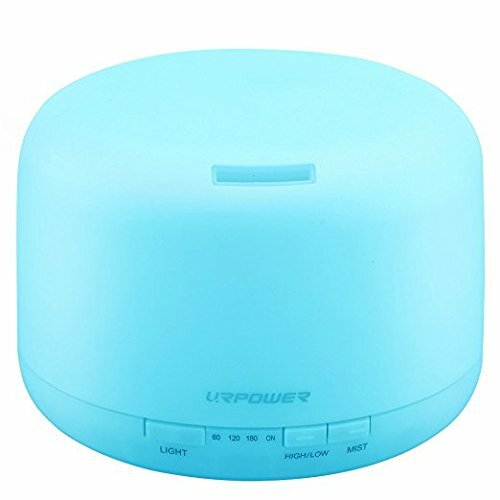 The top essential oil diffuser in our test is from Urpower. It has a great value for the price (it’s one of the cheaper models, yet it’s very capable). It’s also portable enough to move around the home, or even bring to yoga and the office. 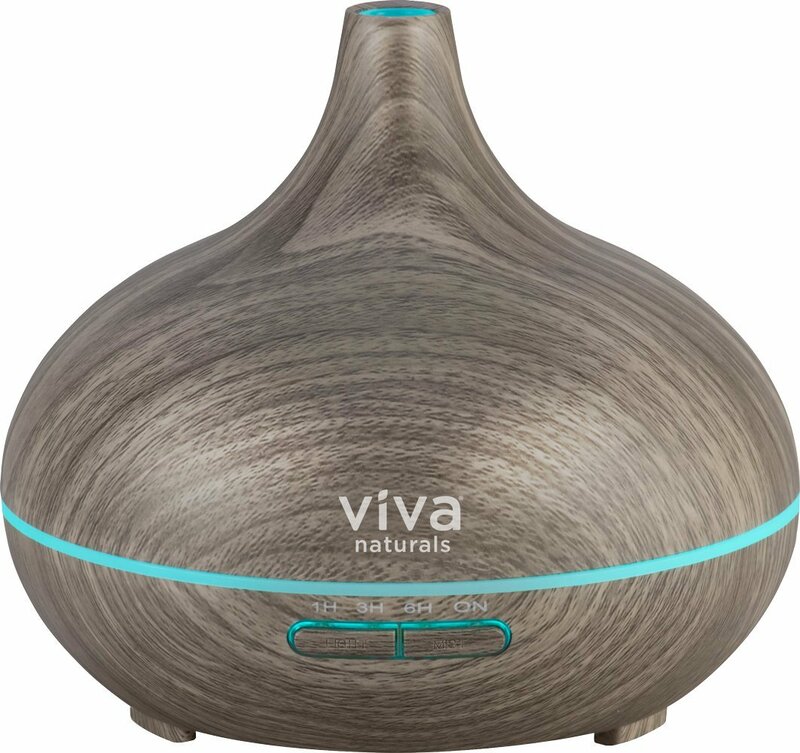 It works well in rooms up to 200 sq ft. It’s an ultrasonic diffuser, so it uses water and sound waves to diffuse the essential oils into the air, and with the 300 ml tank it can be used for up to 8 hours before you need to refill it. The design is clean, and all though a low price point, it doesn’t look “cheap” like many of the diffusers in this price range does. 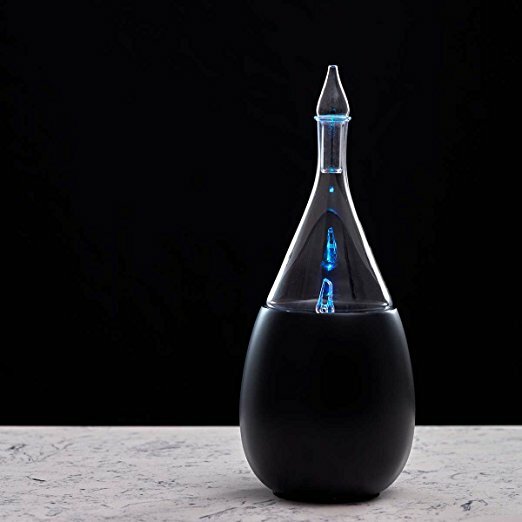 If you’re looking for a nebulizing diffuser, keep on reading though. There are two main kinds of oil diffusers on the market. nebulizing and ultrasonic. 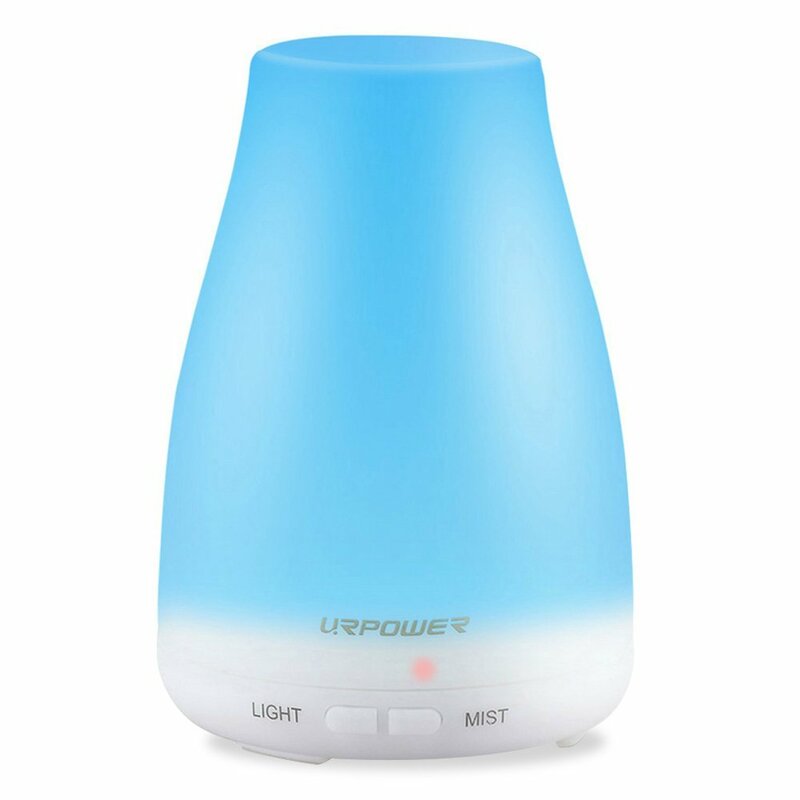 Ultrasonic diffusers create a mist of water and essential oils – they humidify the air in addition to create a nice smell. Nebulizing diffusers, on the other hand, atomize pure essential oils, giving a more concentrated stream of oils. In addition there are evaporation (wind/fan based) and heat (like a candle) oil diffusers, but they aren’t very popular and not covered that much on our website. There’s an overwhelming amount of oil diffusers on the market today. We could say hundreds, but more likely there are thousands of models as multiple brands may sell essentially the same variant made at the same factory. 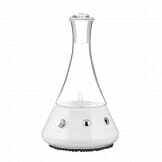 This type of oil diffuser works in a manner that is very similar to the nebulizing diffuser by creating a mist of the oil. However, to achieve this, the ultrasonic diffuser uses vibrations produced by a disk placed under the liquid. The vibrations are created by an electronic frequency on the disk. Since the vibrations are have a very high frequency, the liquid is quickly broken into micro-particles that are then released as a fine mist into the air. The transformation of the liquid into vapor employs an adiabatic process which does not require any heat. To make it easier for the oil to vaporize, the oil is usually mixed with water. The vibrations create a sound like the trickling of water during the operation of the diffuser. This can be very pleasing and soothing to the ears. It is the best type of diffuser for those who wish for smaller amounts of oil in the air within any given period. This diffuser is less expensive that the nebulizing kind, making it affordable to most people. It also serves as a humidifier which can be useful in cold months. A nebulizing diffuser operates very similarly to how a perfume atomizer works. Air is forced into a small tube which pushes the essential oils in a separate chamber to rise. As the oil rises, more air is introduced to atomize and break up the oil into microparticles. These new particles continue to rise to the top of the diffuser, and it is blown by a gust of air to create a fine spray. As long as the air blows on top of the tube, the oil continues to be dispensed into the air in the room. Fast acting. It is the best choice for those who do not want to wait too long. It is easy to control. Most models have timers that can be set to dispense for just 15 minutes or less every hour. This means you only use as much oil as you want. It delivers the most complete therapeutic properties of the oils. The essential oil released into the air are concentrated since they do not require any mixing with water. No heat is used and is completely safe. We generally recommend our readers to go with ultrasonic oil diffusers, as they offer great value at a low price point. If you want a stronger scent and higher concentration, go for a nebulizing model, but be prepared to pay more. Once you’ve read our guide above, and decided to invest in an oil diffuser, there’s not that much you need to know. Most of the time, they’re plug and play, and the manual will answer most of the brand and model specific things to consider. Below we’ve included some general guidelines on how to operate and maintain your oil diffuser. In a wet and warm environment, which an oil diffuser will provide (all though the ultrasonic ones don’t really provide heat), bacteria and mold could thrive. Every few runs, remember to empty it out and clean it with cotton swabs. Clean the glass parts in warm water with dishwasher soap. When you buy essential oils, the bottles may look small. However, you need a very little amount, no matter the type of diffuser you’re using. About 4 to 10 drops will do. Unlike candles, ultrasonic diffusers do not create heat, and there’s no smoke. A candle may tumble off the table, and cause a fire, but also a candle burns with a flame and creates dangerous gasses. An oil diffuser is a better way to relax and make your home smell nice. You can read more in-depth guides to the most popular brands and models by clicking on the links above. Many Americans are now “re-discovering” essential oils. Diffusers as we know them today have been on the market since the 80s, and in the last 5-10 years gained a lot in popularity. However, the concepts of essential oils and aromatherapy are not new. They’ve been well known since early civilizations in Egypt, Greece and the Far East. Modern science has investigated a lot of the claimed benefits, and many of them have been proven also scientifically. Some examples of this are patients with depressions who have been treated with citrus oils. The trials showed that the essential oils improved hormone levels and the immune system. This again led to improved mood. Other tests have shown that using aromatherapy has decreased pain and stress in patients. Another example is Lavender oil, which can help your sleep quality. Peppermint oil can alleviate nausea and increase alertness and focus. Each diffuser will give a description of how big of a space they’re meant for. Take a look at what size space you’re going to put your diffuser, and narrow down your choice from there. We have a separate article on essential oil diffusers for large rooms. Oil diffusers can be used in any room of your home. They can also be used in your office and your car. There are portable diffusers that you can take with you when traveling for your hotels. If you’re looking for a portable solution, you can also try MonQ, which are essential oil inhalers (almost like vapes, but with no nicotine). Yes, they too can safely enjoy the benefits of an essential oil diffuser. If you go for a nebulizing or ultrasonic model, there’s no heat, so even if they would knock it over (being parents ourselves, we recommend putting it out of reach), there wouldn’t be any hazard. Sometimes price reflects quality, but not always. Earlier there were only a few manufacturers, most of which also produced essential oils. More competitors have arrived on the market, and prices have gone down. You can now get a good oil diffuser for as low as 25$. If you’re looking for a specific design or finish, you may have to pay more. Hi! I'm Jessica -- founder of Essentialoildiffuser.io. My goal is to give you the best advice on essential oils! Any questions? Get in touch today. More Posts from Jessica. Jessica's Webseite.